Decorate your rugby club, pub or home with this funny wall sticker. The sticker consists of a pint glass with foam overflowing with the text "My drinking team has a rugby problem". 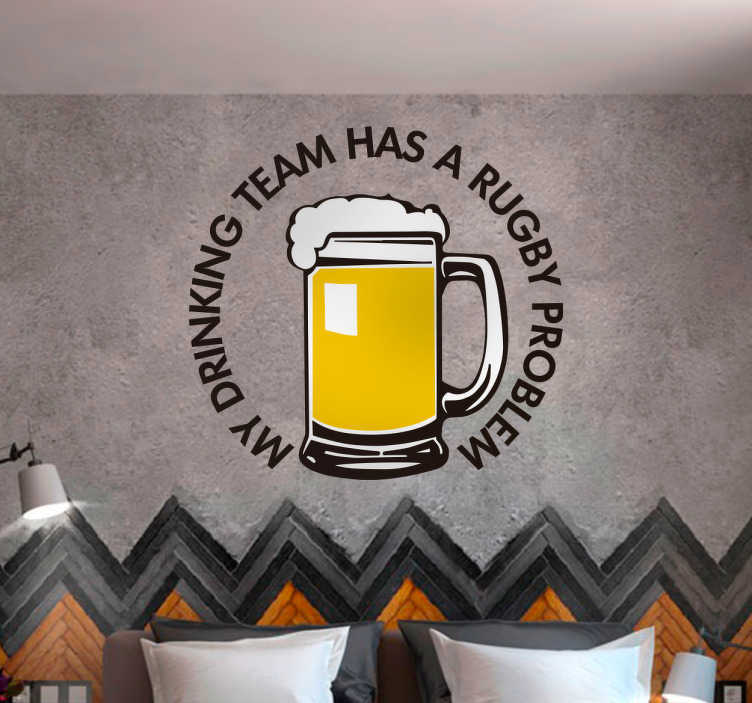 If your team are regularly out drinking, then you need this wall sticker. This sticker is suitable to apply to any flat surface such as a wall/window or flat. Personalise the colour of the text to match the colours of your team. This sticker is available in a variety of sizes.